The National Association for Stock Car Auto Racing has been active since 1948 yet bar from the occasional burst on some tucked away sports channel, British racing enthusiats may or may not know exactly what they are missing out on. 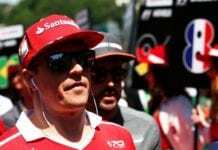 Hopefully, a few of these reasons will bring everyone up to speed – pun fully intended – on Kimi Raikkonen’s new career venture. It’s cheap to run a team, and cheap to sit and watch. There are over 40 participants in most NASCAR races, which shows how easy it is to buy the kit and run it – sponsorship permitting. The fanbase isn’t just the stereotypical Southern American clientel either, with crowds coming from all over the country to watch races. With three series held most weekends (Camping Truck, Nationwide and Sprint), there’s plenty to see for half the cost of an F1 ticket. Pay that little extra to take your campervan into the infield though, and you get a special view of the whole circuit. How can F1 compete with that? Most drivers have some kind of cool nickname. “The Rainbow Warrior” Jeff Gordan. “Million Dollar” Bill Elliot. “The Ironman” Terry Labonte. Sounds like a night of boxing in the East End, but trust me, they are all legit. Darlington Speedway is even nicknamed “The Lady in Black”. Yes, it’s a bit melodramatic, but it’s a great way for the fans to root for their favourites. Don’t for get the merchandising either. There’s a great spirit of family tradition. Many of NASCAR’s greatest moments are when a son emulates the father in competing, and winning. There has been examples of a retired driver even commentating on his son’s Daytona 500 victory, and a father beating his son to the win at the same track. “The King” Richard Petty was himself a second generation driver, his son Kyle then went on to race (and win), with then his son Adam competing. Just to keep track, that’s four generations of one family racing in NASCAR. That’s pretty much unprecedented. F1 has Monaco, NASCAR has Daytona. 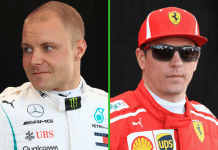 It’s billed as the one everyone wants to win, and holds a certain allure over drivers that the principality has over Grand Prix racers. Until 1959, it was held actually on Daytona Beach in Florida, before moving to it’s home of the Speedway oval. No electronics, no traction control. No grey areas. There are no CPU units attached to the engines on any car on the grid. That means there is no way a team can add any kind of software to help with traction, throttle, etc. It’s all down to driver skill and making the correct calls on the pit-wall for tyres and fuel. In that way, it makes it a pure form of racing that Formula One was, but never will be again. It’s not all about turning left. An oval track has many characteristics. The camber of the track, the consistency of the tarmac and the entry into the pitlane all present different challenges to NASCAR drivers. It’s not all ovals either. The annual road course Infineon Speedway and Watkins Glen means the teams have to have a set-up for a circuit race. 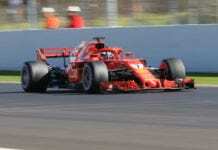 Plus it gives fans the oppurtunity to visit a great former F1 track like the Glen. Incidentely, the last winner of the race held there? That would be one Juan Pablo Montoya. Remember him? Formula One has only one 7-time champion. NASCAR has two. And while Michael Schumacher has 91 race wins to his name – with the chance to add to that total – “The King” Richard Petty amassed an astounding 200 hundred career wins. I’ll repeat that. Two hundred race victories. Unlike Schumacher though, The King knew when to pack it all in, retiring in 1992 after 34 seasons. It too has lost it’s legend. The other 7-time champ, “The Intimidator” Dale Earnhardt, lost his life in an accident at the 2001 Daytona event. After his accident, the sport reviewed it’s safety measures and revamped driver protection making sure that Earnhardt’s crash wasn’t to be repeated. It was an almost eerie mirror to the loss of Ayrton Senna. Like in Formula One, these changes have led to no more fatalities in the sport. Every major talking point in it’s history has a label. Just like a chapter in a book, when something significant happens in Stock Cars it’s given a title for people to remember. If you have time, simply search for a few things in YouTube. Personal favourites of mine are “The Pass in The Grass” and “One Hot Night” (yep, that one’s legit). For some, NASCAR may just be four left turns in a big-engined touring car, but if you dig a little deeper under the surface you have the history and fanaticism that not only matches Grand Prix, but in some quarters, drafts right past it.